Uzbekistan is a truly sunny region; the sun shines here most of the year. Most of the territory is deserted plains. East and South-East of the country have plenty of mountains and foothills. The air here is mostly arid and there is hardly any humidity in the air. The climate of Uzbekistan is characterized by sharp changes in soil and air temperature. Rains represent an infrequent phenomenon, except during the late autumn, sometimes in winter. Snow and frosts here is a quite rare phenomenon, even in the middle of the winter season. So in winter it is possible safely to go for a walk around the city. The spring season in Uzbekistan is the most beautiful time. Navruz is the spring festival here. At this time, sumalak - an unusual dish from sprouted wheat is prepared here. The forty-day period from June 25 to August 5 called "chilla" is considered as the hottest time in summer. The hottest month is July, when the temperature reaches over forty degrees Celsius. The air in Uzbekistan is warm for most of the year. For those who like moderate temperatures, the best time to travel to Uzbekistan for an excursion is April-May-June, and also end of August-September-October. During these months temperature is the most pleasant: there is neither exhausting heat, nor cold. In November, a sizable cold usually starts step-by-step. 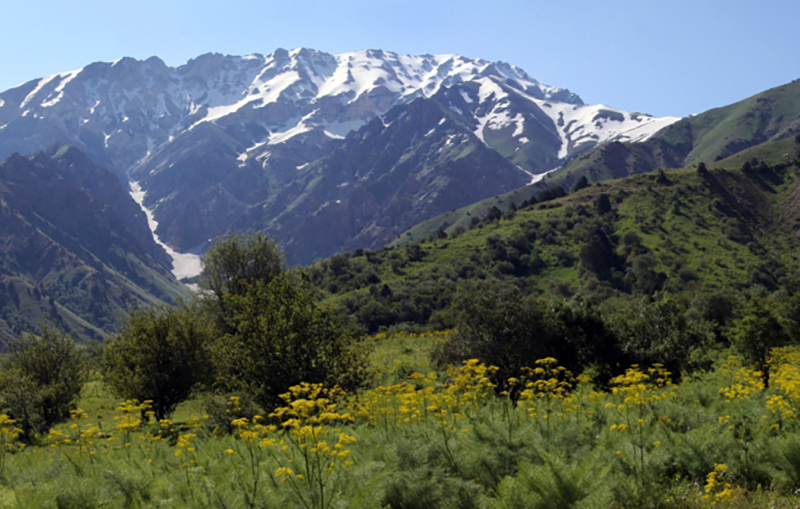 However, if you happen to arrive in Uzbekistan at the height of summer, the best way to spend time and avoid heat is to travel to recreation areas located in the mountainous area, as the air temperature in summer warms up to +34 - +36 degrees, and at night it is cooled to +18 - +20 degrees. Walking in forty – degree hot weather be sure to cover your head, and always carry some water. This will save you from getting sunstroke and dehydration. And it would be better to go for a walk before noon and after 6 in the evening. While in winter time it’s better to walk in the afternoon, as the cold tends to fall by this time. Do not ask yourself when it’s the best time to go to Uzbekistan, you can come almost at any time of the year and you will not lose. This is the uniqueness of Uzbekistan climate. Even if you arrive in July, the heat will not be an obstacle, it would be enough just to follow the simple tips outlined above.